Monsters are killing people! | That's Bad For You! I’ve never cared for energy drinks. 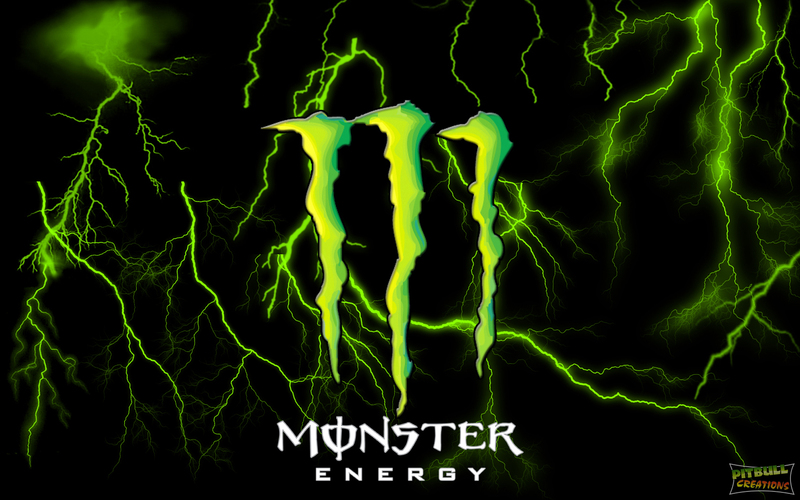 Sure, I’ve had a few Red Bulls, but the popular energy drink called “Monster” just looks scary to me. That creepy “M” on the black can just makes it look suspect to my well-being.The drink is a 24-ounce carbonated beverage with 240 milligrams of caffeine. That is seven times the amount that is found in a regular 12 ounce soda. Turns out the this ridiculously caffeinated drink has been linked to the death of a 14-year-old girl who died of “caffeine toxicity” after drinking two 24 oz. cans of Monster Energy drink. It has also been linked to the deaths of four other people. The deaths are all currently under investigation of the FDA. According to Livestrong.com, Monster Energy drinks provide about 200 calories per 8 oz. The drink is fortified with an abundance of B vitamins, which are helpful for energy metabolism and immune system health. can. Oh, but there’s more! On top of the mass amounts caffeine, the drink also contains 54 g of sugar. Monster Energy drinks are high in sodium: about 360 mg per can. Both sugar and sodium are related to high blood pressure and cardiovascular disease, and the American Heart Association recommends limiting both to prevent heart problems. Sounds pretty bad! This entry was posted in BAD, Bad For No Reason and tagged caffeine, caffeine toxicity, cardiovascular disease, energy drink, FDA, Food and Drug Administration, high blood pressure, Livestrong.com, Monster Energy, sodium, sugar by thatsbad4u. Bookmark the permalink. I saw this the other day too, and was actually surprised that something terrible like this hasn’t happened sooner. I think the problem with many of these things that are bad for you is that people assume that if they can buy it in the store, it’s safe. Moderation, people! Drink a cup of tea instead and if you’re looking for an increase in B, go and get some B12 for crying out loud. I’m with you, it looks ominous, now I know it’s ominous, I’ll be staying away.